Find the answer somewhere on our website. We try to change the questions every month...so come back next month. 1) What is the only U.S. city where all professional sports teams use the same colors? 2 ) What is the highest mountain in the United States? 3) In what country is the Westernmost point in continental Europe? Robert Benjamin Realty is a reputable Wysox real estate agency with a licensed and experienced broker who knows the local real estate market extremely well. ROBERT BENJAMIN REALTY specializes in the purchase, sale, rental and appraisal of Bradford and Sullivan County Pennsylvania properties. We are members of the National Association of Realtors, the Pennsylvania Association of Realtors, and the Bradford-Sullivan Association of Realtors and we provide services including real estate sales, real estate appraisals, and real estate consultation. Robert Benjamin Realty wants to help you find your dream home! 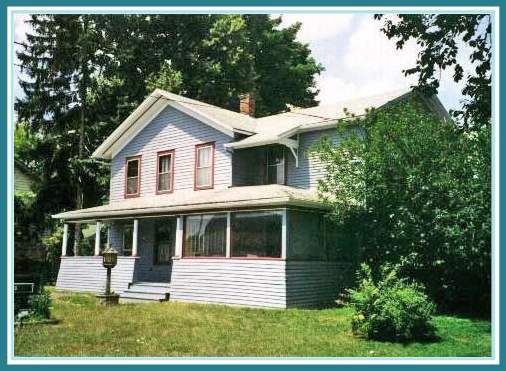 In addition, we have a wide range of real estate properties for sale or for rent in the Bradford County, Pennsylvania area. Robert Benjamin Realty is a member of the Bradford-Sullivan Association of Realtors and its Multiple Listing Service. Because of this affliation we can sell you any home on the market in the Pennsylvania area as a co-operating broker with other agencies. The local Multiple Listing Service (MLS) also allows you to have more than just our agents trying to sell your property for you. Every real estate agent who is a member of the MLS has the opportunity to sell your home or land via a co-operating system that has been set up in advance for your benefit in this area of Pennsylvania. We have been in business since 1985 (30+ years) so you know you will get a lot of experience and knowledge of the area. We do residential, business and commercial appraisals with an excellent reputation. Bob has taught beginning and advanced real estate classes for Pennsylvania State University. We are located very near many other business including four hotels, several fast foot restaurants (Subway, MacDonald's, Wendy's), national retailers (J. C. Penney's, KMart, NAPA, and Auto Zone, etc. ); 4 car dealerships with multiple brands; 18 hole country club golf course; gas stations; shopping plaza; and many job opportunities in retail or major factories like Dupont, Global Tungsten Products, and Jeld-Wen.